Spiritual relationships – Living life the MegaSpecial way! If your in my life, you get me! I have never felt more right about my life journey! I’m heading in the right direction, appreciating the bumps along the way and making room for change when change is needed! Mind shifts are happening and I couldn’t be happier! 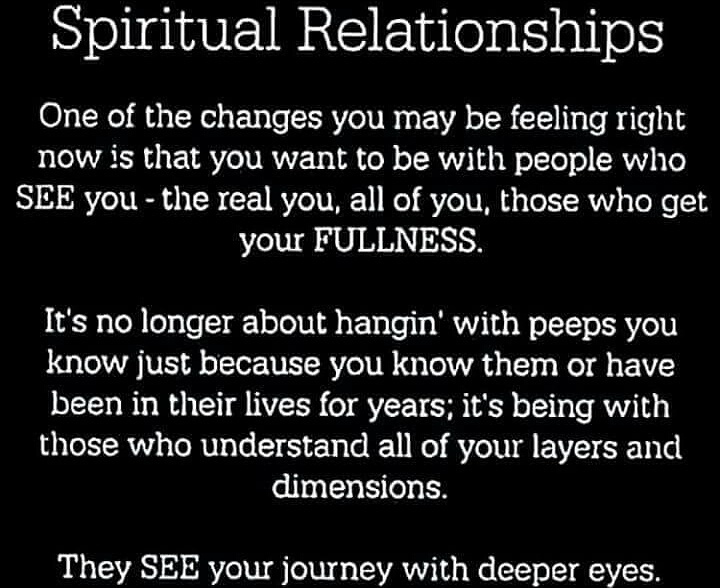 Spiritual relationships shape my life! Picture shared via Pinterest, words are my own.